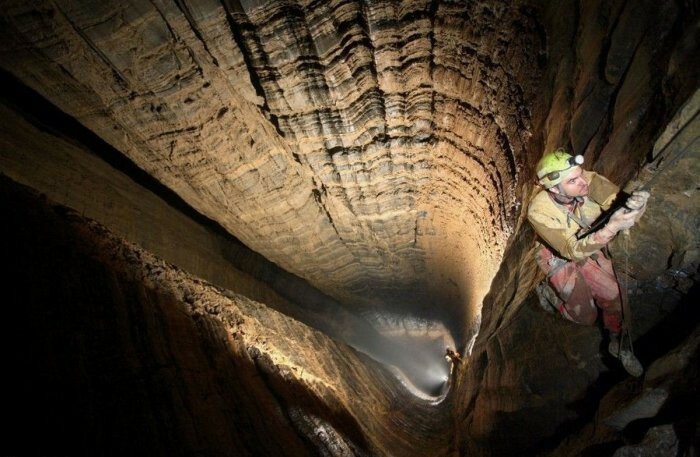 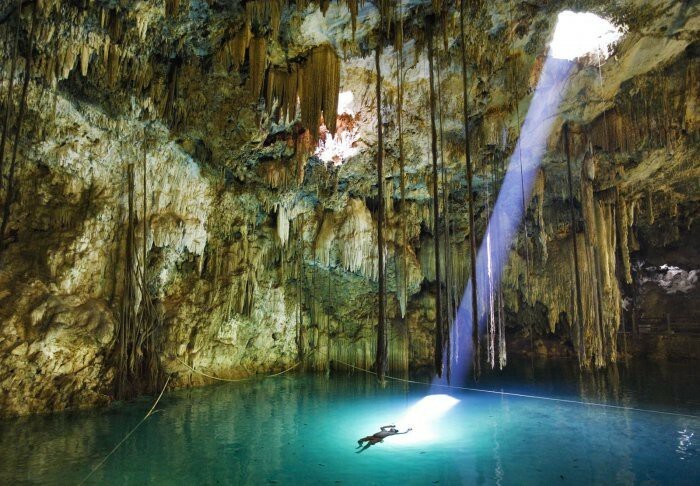 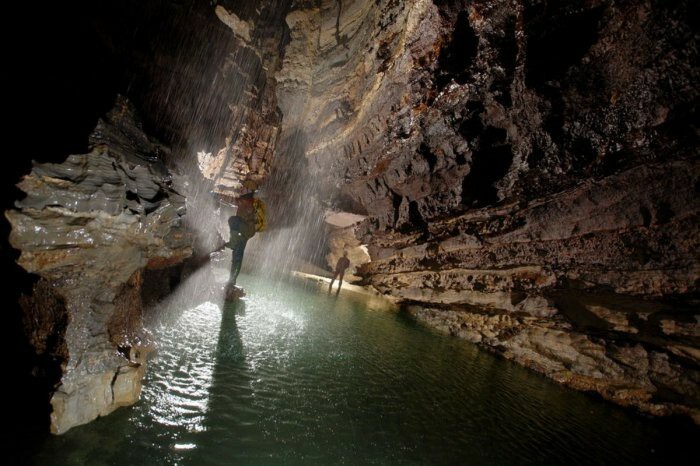 Cave Kruera Raven is considered by far the deepest in the world. 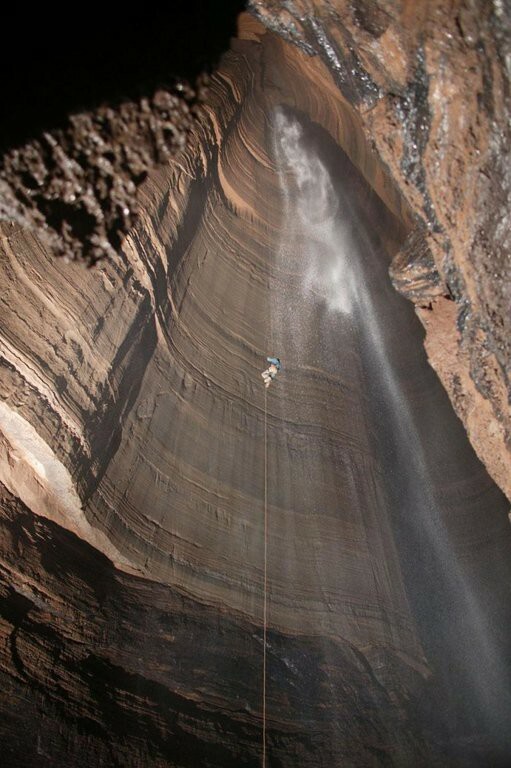 It is located in Abkhazia and its depth is 2196 meters. 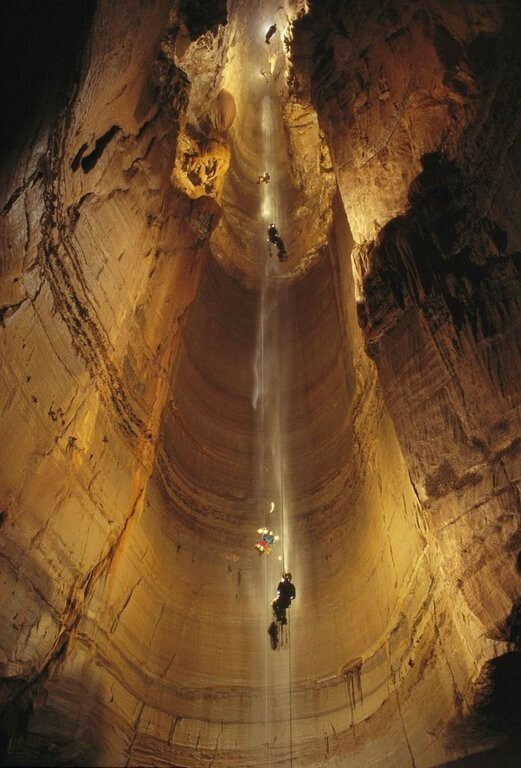 It is a series of wells, which are connected by galleries.